Perl was introduced in 1987 (4 years before Linux itself), when the author, Larry Wall, released version 1.000 of it. The reason for its creation was that Wall was unhappy by the functionality that sed, C, awk and the Bourne Shell offered him. He looked for a language that will combine all of their best features, while having as few disadvantages of its own.Originally the only documentation for Perl was a single (increasingly lengthy) man page. 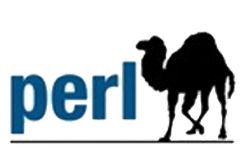 In 1991, Programming Perl, known to many Perl programmers as the "Camel Book" because of its cover, was published and became the de facto reference for the language At the same time, the Perl version number was bumped to 4, not to mark a major change in the language but to identify the version that was documented by the book. 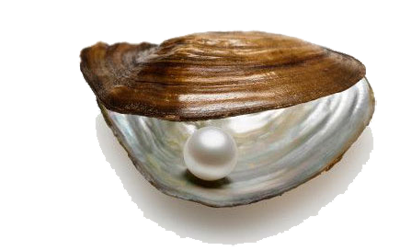 Perl was originally named "Pearl", after the Parable of the Pearl from the Gospel of Matthew. Larry Wall wanted to give the language a short name with positive connotations; he claims that he considered (and rejected) every three- and four-letter word in the dictionary. He also considered naming it after his wife Gloria. Wall discovered the existing PEARL programming language before Perl's official release and changed the spelling of the name.When referring to the language, the name is normally capitalized (Perl) as a proper noun. When referring to the interpreter program itself, the name is often uncapitalized (perl) because most Unix-like file systems are case-sensitive. Before the release of the first edition of Programming Perl, it was common to refer to the language as perl. WHY NAME PEARL TO THE PERL LANGUAGE? Programming Perl, published by O'Reilly Media, features a picture of a camel on the cover and is commonly referred to as the "Camel Book". This image of a camel has become an unofficial symbol of Perl as well as a general hacker emblem, appearing on T-shirts and other clothing items.The Perl Foundation owns an alternative symbol, an onion, which it licenses to its subsidiaries, Perl Mongers, PerlMonks, Perl.org, and others. Perl is a programming language. In the web development environment, Perl is a very powerful way to create dynamic web pages. Perl can be used for virtually any web application you can think of, from hit counters to database management.To use Perl, you write a script. A script is basically a simple computer program which runs on the server and produces web pages. The script can take input from the user or other source and customise the resulting web pages based on the results. 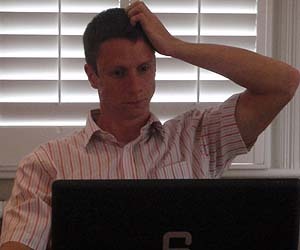 For example, a script could ask for a password and provide an error page if the password is incorrect.Perl is a general-purpose programming language originally developed for text manipulation, but as of 2010 is used for a wide range of tasks including system administration, web development, network programming, games, bioinformatics, and GUI development. The overall structure of Perl derives broadly from C. Perl is procedural in nature, with variables, expressions,assignment statements, brace-delimited blocks, control structures, and subroutines.Perl also takes features from shellprogramming.All variables are marked with leading sigils, which unambiguously identify the data type (for example,scalar, array, hash) of the variable in context.Perl takes lists from Lisp, hashes ("associative arrays") from AWK, and regular expressions from sed. These simplify and facilitate many parsing, text-handling, and data-management tasks. Perl Data Language ( PDL ) is a perl extension that is designed for scientific and bulk numeric data processing and display. It extends perl's syntax and includes fully vectorized, multidimensional array handling, plus several paths for device-independent graphics output. 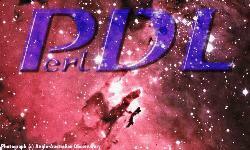 The "PDL" module is a complete Object-Oriented extension to Perl (although you don't have to know what an object is to use it) which allows large N-dimensional data sets, such as large images, spectra, time series, etc to be stored efficiently and manipulated en masse. Numerical tasks such as image processing and computer modeling of physical systems require more structured data, and PDL supplies this need by including more traditional array constructs and additional syntax to describe vector processes. 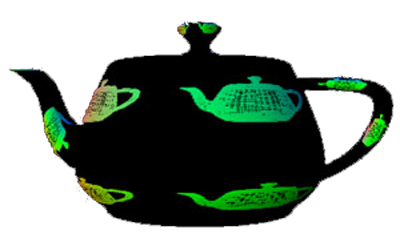 Perl OpenGL (POGL) is a portable, compiled wrapper library that allows OpenGL to be used in the Perl programming language.POGL provides support for most OpenGL 2.0 extensions, abstracts OS-specific proc handlers, and supports GLUT, a simple cross-platform windowing interface. The POGL Team has collaborated with the ImageMagick Team to add new APIs to IM v6.3.5 that provide tight integration between POGL and PerlMagick - allowing image buffers to be shared between ImageMagick and GPUs. 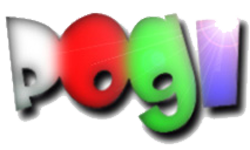 POGL is used as the OpenGL binding for the 3D graphics in the Perl Data Language (PDL). OpenGL is supported on every major operating system, it works with every major windowing system, and it is callable from most programming languages. It offers complete independence from network protocols and topologies. All OpenGL applications produce consistent visual display results on any OpenGL API-compliant hardware, regardless of operating system or windowing systemThe POGL team has collaborated with the ImageMagick team to add PerlMagick APIs that allow GPUs and ImageMagick to share cache buffers via C pointers - optimizing performance for FBOs and VBOs - for use with loading/saving textures and GPGPU data transfer. Larry Wall began work on Perl in 1987, while working as a programmer at Unisys, and released version 1.0 to the comp.sources.misc newsgroup on December 18, 1987. The language expanded rapidly over the next few years.Perl 2, released in 1988, featured a better regular expression engine. Perl 3, released in 1989, added support for binary data streams.Originally the only documentation for Perl was a single (increasingly lengthy) man page. In 1991, Programming Perl, known to many Perl programmers as the "Camel Book" because of its cover, was published and became the de facto reference for the language. At the same time, the Perl version number was bumped to 4, not to mark a major change in the language but to identify the version that was documented by the book. 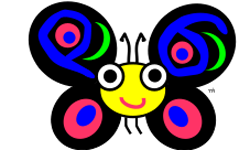 Perl 5 is the latest version in an ongoing evolution of the Perl language. 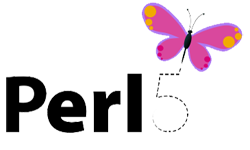 The Perl 5 interpreter and language were released a few years ago to replace and upgrade the existing Perl 4 that had become the staple of many web developers. By and large, as of 1998, most Internet Service Providers and systems administrators around the web have upgraded to Perl 5 so it should be available to you for web programming. If it has not been loaded onto your local system, you should direct your systems administrator to get the interpreter from http://www.perl.com/. An object oriented based library system focussed around "Modules"
New shortcuts such as "qw" and "=>"